Started in 2010 by Sweta and Vishal Gupta, Mandi was started to provide a fine dining experience for vegetarians in Indian, Chinese and Italian cuisine. Mandi fine dining. Pic: Uma Swamy. A special attraction is the buffet serving more 40 items for Rs. 199/- per person (including taxes) and the 50 plus items buffet at Rs. 299/- The restaurant, that can seat about 140 persons, has a private dining area for small get-togethers. While it’s usually business visitors who come in at lunch time, families frequent the place in the evenings and weekends. The space has large seating capacity. Prior booking is necessary. 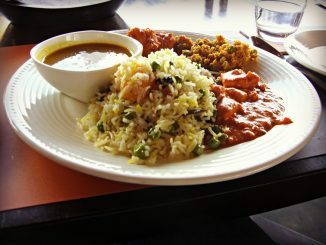 Special items include the Mandi Hungama Platter, Sesame Finger Fry and Lasagne. 949, 2nd Floor, 24th Main, JP Nagar 2nd Phase. Ph 080-26581432 and 98804 93432.